We create user-friendly products and services to face new TV challenges. We'll handle the programming stuff, leave it to the experts. Our products offers a wide variety of solutions, from hardware equipment for broadcast headends to Cloud tools to help you to create your TV station. Since TV has become more personal, Tmira faced the challenge to create the most intuitive and useful smartTV and HbbTV applications, with user in mind, to let your viewers enjoy your contents everywhere and every time. 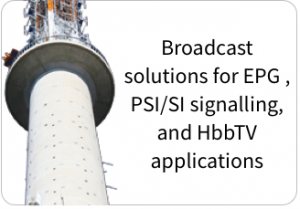 Ours tmEPG and tmBroadcast servers are the definitive broadcast systems for EPG (Electronic Program Guide) generation, full PSI/SI table management or HbbTV applications publishing for DVB-T/C/S networks. Our headend servers are working in all type of satisfied operators all around the world. Tmira starred the evolution of interactive TV in Europe, from MHP very first steps to latest HTML5 development. We create intuitive applications, focused in user but keeping in mind how to monetize all contents. We have made applications to all platforms (smartTVs, Roku, HbbTV, Sony Playstation, Android smartphones, AndroidTV USB Dongles,..) and business models: FTA, freemium, SVoD or PayTV. You should buy this theme NOW. 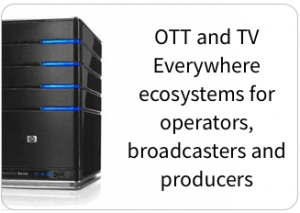 We Build Solutions for Broadcasters Problems and User ExpectationsThis is what Tmira is. All who work in Tmira have grown watching TV. TV is still the heart of our living room. And we know that something really good, is better if it is simple to use. That´s why we believe in TV made simple. Tmira was born in 2004 with the aim of facilitating the migration from analogue to digital TV, manufacturing equipment that would allow broadcasters to offer new services in an easy, simple way maintaining the highest quality. When TV turned online we apply our philosophy to create innovative OTT & PayTV services. And we have not forgotten viewers. For them, we create intuitive and elegant applications, so they can enjoy TV in their smartphones, game consoles and SmartTVs. We strive to launch and manage Digital and online TV solutions for our customers, through easy to use, cost effective and highly satisfying customer experiences. Simplicity: to create the best products with the simplest usage. Competence: our passion and technology knowledge help us to fix on highly complex customer requirements. Responsiveness: always available and quick to respond to our customers when they need us. Human Capital: we identify individual talents and make them grown in TV passion.